Permits - Locations - Benvenuti su corinneburnsbruno! When shooting in historical places and/or monuments, for example, the Grotta Azzurra in Capri, a special permit must be acquired. The request for use of these monuments must acquired through a letter written on the letterhead of the production company or advertising agency or television station using this material – stating the use of this material. If the use is a TV commercial, specific information is required regarding the countries and length of time this commercial will be aired, since sometimes,residuals must be paid to the Italian Government for certain monuments. Further details can be furnished for your specific needs upon request. 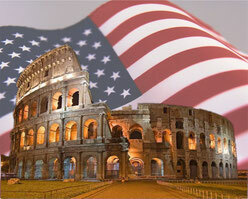 Also important is to know that you need approximately 9 working days to receive permits to shoot in Rome. Unfortunately, there is not a price list, and things changes sometimes monthly - but if shooting in Rome, you need to know that it takes time to acquire the proper permits.